“THINK BIG!” motivated Certified Autism Angel John Chua as he presented the Colors of A Spectrum Project – a collaborative photography workshop-exhibit project with ASP. The “Colors” project has made its mark in various ASP Chapters around the Philippines for the past two years. John’s enthusiasm is infectious. He wanted everyone to be involved in “Colors”. 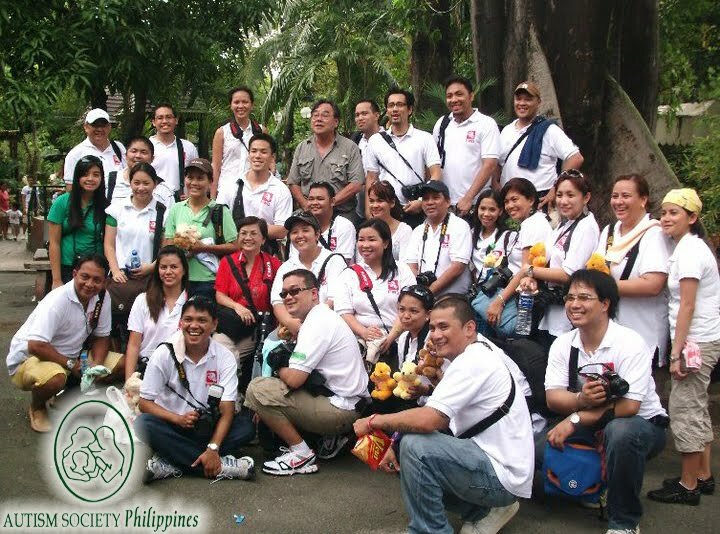 Last June 6, 2010, ASP Marikina Valley Chapter President, Alex Cabason and wife Marivi met with John Chua and The Sunday Shooters Club - a photography group spearheaded by Ryan Matignas in 2008, to join forces with the chapter for this project. Three weeks later, the photographers and chapter officers met with the parents for an orientation and set July 11 as the target date. Manila Ocean Park and Manila Zoo-Kinder Zoo were identified as possible venues. 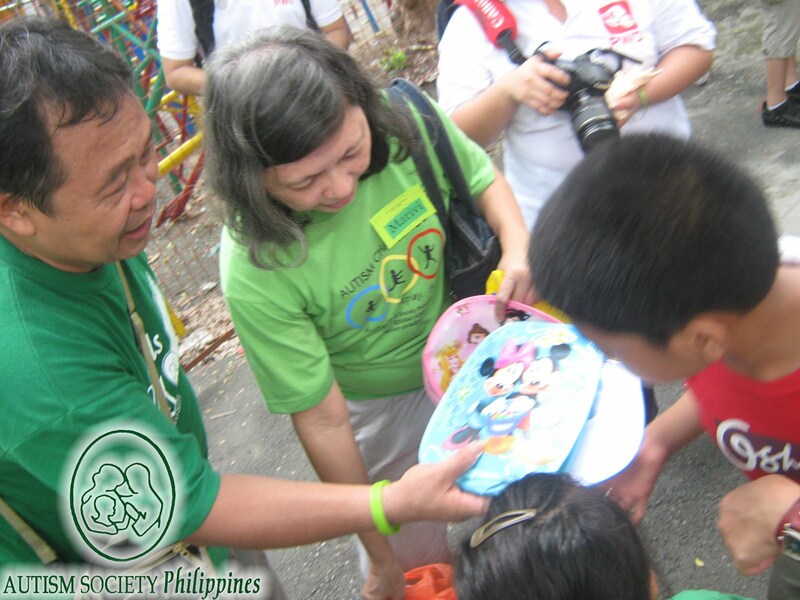 On July 11, the families, all wearing the green colors of ASP, assembled at 6:30 am in Marikina City Hall. Twenty-three (23) persons with autism (with ages ranging from 5 to 26) and fifty (57) parents and siblings plus four teachers exceeded the target numbers. All boarded one rented bus and a coaster from Marikina City. While traveling, Alex seized the opportunity to talk to parent members. He enjoined the cooperation of the members for the Colors Photography Exhibit this August. As early as 7am, the Sunday Shooters Club volunteers were waiting for the ASP group at Manila Ocean Park. And by 8am, our group arrived to join the photographers for breakfast, courtesy of SM Committee on Disability Affairs. Afterwards, the photographers were then assigned to the kids to instruct and assist them in taking pictures. The kids, and photographers as well, were all wide-eyed with excitement as they aimed their cameras at the huge aquariums which had a wide variety of fishes from different parts of the world - seawater creatures like sharks, stingrays and other deep sea fishes, as well as the common ones like lapu-lapu, dalagang-bukid, talakitok and pampano. 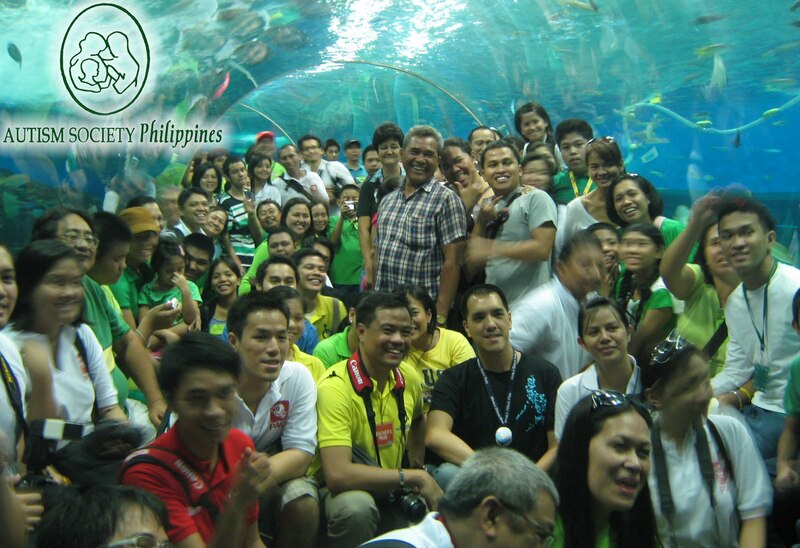 We all gathered for a group photo under the glass tunnel. After the photo shoot, the kids were also treated to an art class. Since it was already around noon, we decided to have a break at our next destination, Manila Zoo. It was a chance to have more bonding time with our family as well as with the photographers, as we shared lunch. Everyone had time to rest, recharge and freshen up. Kinder Zoo, one of the main attractions of Manila Zoo, gave the children an interactive experience. The kids had an opportunity to handle and have their pictures taken with a big snake, a small crocodile, a wild boar and a huge turtle. They fed bird seeds to parrots, cockatoos and macaws, and some even had their pictures taken mounted on the ostrich. The kids also fed bananas to Ma’ali, a 34 year old resident Asian Elephant of Manila Zoo and took photographs with her. Click here to read a previous thread on Ma’ali. Not only did the kids have fun during the photo workshop. Adults joined in a boat race where two teams of photographers were pitted against two teams of parents; and a younger group from SM Supermalls and Canon. The adults were very competitive, although there were no prizes. The photographers won by the skin of their teeth in a very tight race. By 3:30 pm, the activities drew to a close, with an exchange of tokens between ASP Marikina Valley Chapter and the volunteer photographers from Sunday Shooters Club. The children were also given loot bags courtesy of SM Supermalls. Everyday miracles do happen, as what transpired in the ASP Marikina Valley Photo Workshop, as things were being planned, and activities fell into place. We are thankful for the Angels who touched our lives and for the glowing colors that we experienced. And we look forward to more miracles for our chapter, soon. Acknowledgments: John Chua, Photography with a Difference, Canon, SM Supermalls, SM Program on Disability Affairs, SM Marikina City, Sunday Shooters Club, Marikina City Government, Manila Ocean Park, Manila Zoo, ASP Marikina Chapter parents, siblings, volunteers and children with autism. ASP Marikina Valley Chapter will have a Photography Exhibit on August 13-22 in SM Marikina. Are you an Angel for Autism? Help ASP Chapters with their programs and activities. Donate to ASP. Log on to ASP Community Website or call 9266941 / 9298447. To request for a Colors of A Spectrum Photography and Exhibit Project in you area, write to autismphil@pldtdsl.net.